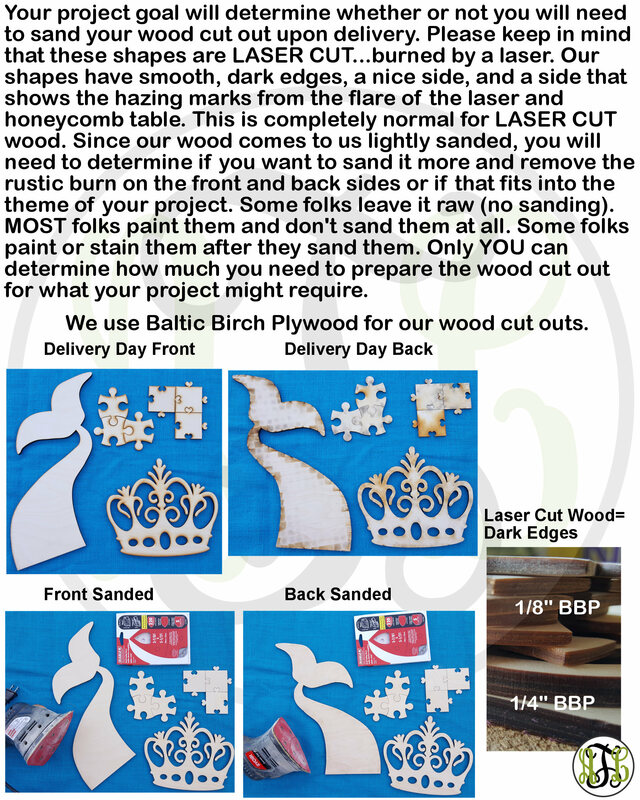 This listing is for FAST FREE SHIPPING of 10" to 30" unfinished, unpainted laser wood cut Framed Silhouette...We ESTIMATE your purchase from final drawing approval to door in 7 business days or less (Shipping Policy #4) for all items delivered within the continental US. 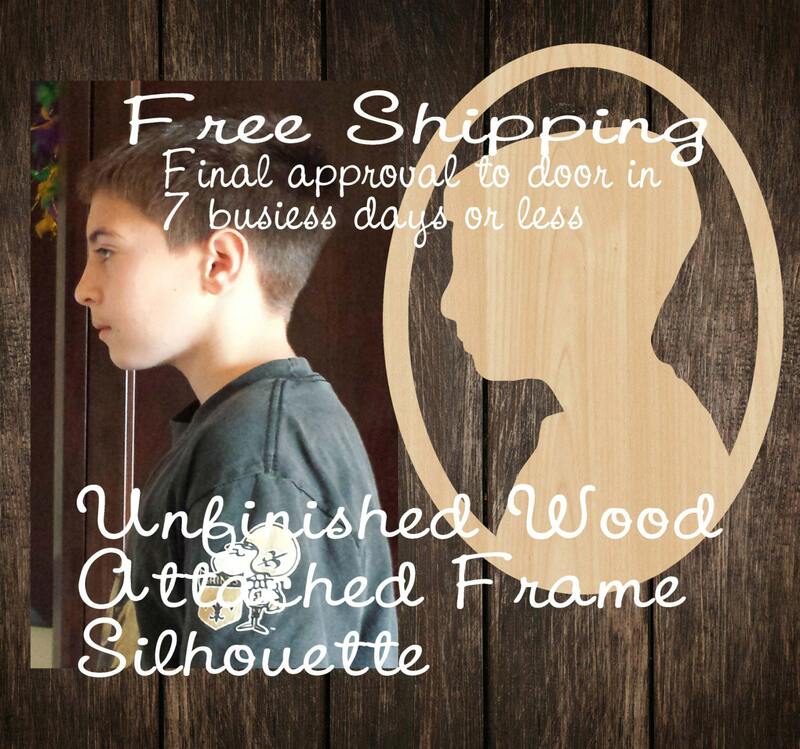 (1) After you place your order, you will need to send me a side-profile picture of the person whose silhouette you would like to be cut in wood...even a picture from your cell phone will work:) No need to send a professional photo, unless that is all you have. Try to select a background that will contrast your child's skin tone and hair. For little girls, the sweetest profiles are from those photos where there hair is pulled up in a pony-tail OR adding hair accessories to their profile, like a bow (using both can often distort the silhouette, so I would choose one or the other). If you want to add a bow to the profile, please note that in the comments section. (2) Once I receive your photo, I will get to work making the silhouette in my drafting program. When I am finished, I will send you my drawing to approve or make any changes to it as you see fit. 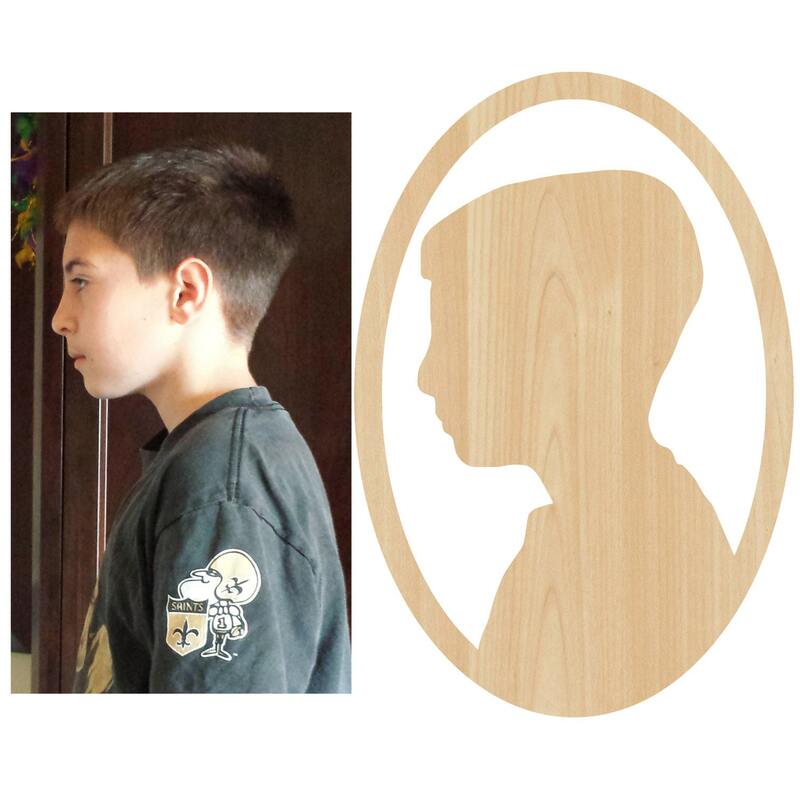 (3) After you have approved the silhouette drawing that I have created for you, I will send that to the shop to produce your new heirloom wood cut out. (4) That's it! 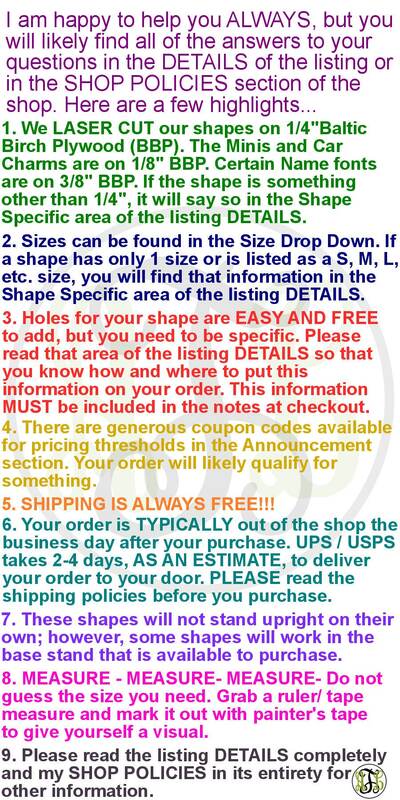 You can expect to receive the piece within 7 business days of your final approval. 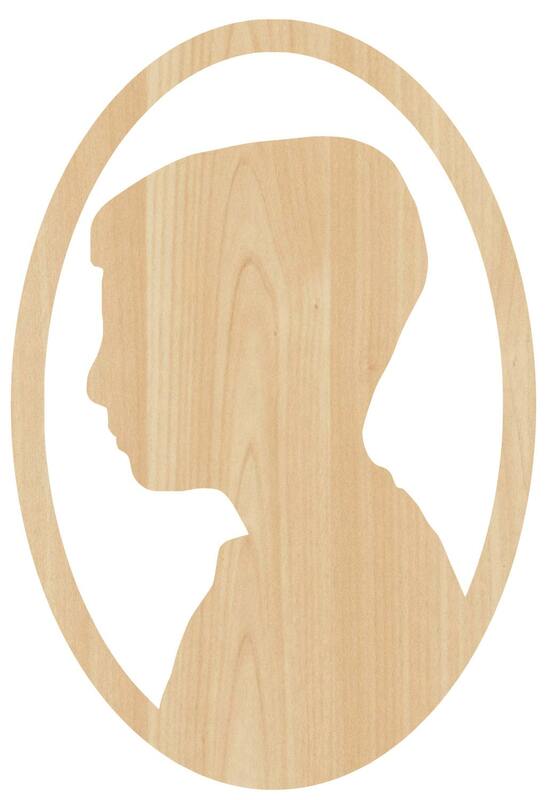 (1) The size is determined on the frame's longest points top to bottom (portrait orientation as shown). The height, when positioned in portrait orientation like the photo, of the entire framed silhouette will typically be .7*width (approximately). (2) I work on your changes the day you send them back to me, so it is up to you how quickly you will receive your order as it is based on the number of corrections and your ability to respond quickly to my drawing approvals.